We have shown you how to get CyanogenMod on your HTC One and Samsung Galaxy S3 in only a matter of minutes. But when modding your phone by installing custom ROMs, you'll often lose your access to Google Apps. Since Google's Apps are very useful (Gmail, Chrome, and Maps to name a few) most people will prefer to have these apps on their custom ROMs. While you can scour the internet searching for individual .APKs, it's hard to find the correct versions to work with your particular system (and downloading an .APK from a random website can be hard to trust). So, developer Weidi Zhang created Gapps Manager, your one-stop-shop to download the right version of all your Google Apps. If you have the PlayStore, you can download GApps Manager from Google Play. 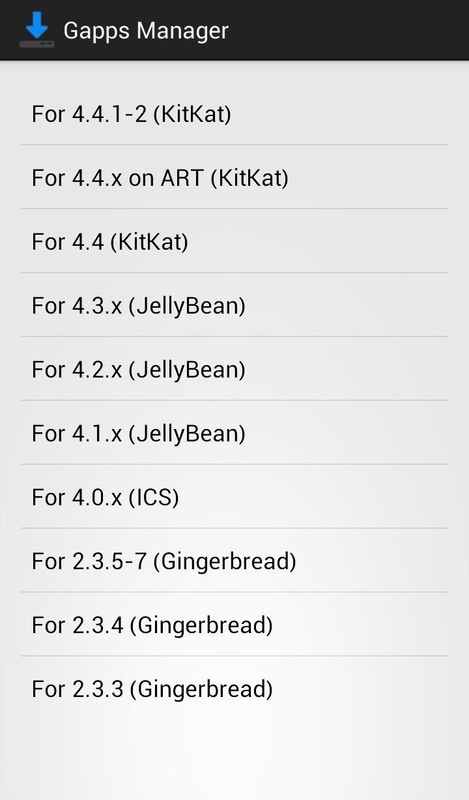 If you don't (which is certainly possible as the Google Play Store is also a Google App), you can download the APK from Weidi's thread on XDA. The application is super straight-forward. 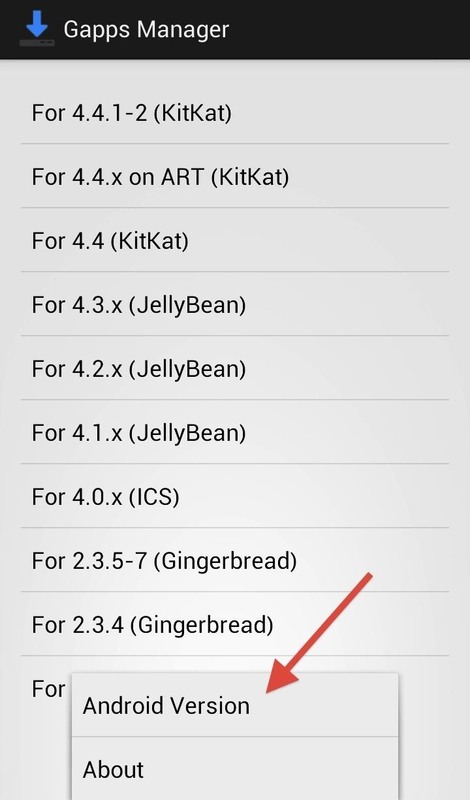 Once installed on your device you simply need to select the Android version you're currently running from the list and your GApps downloads will begin. 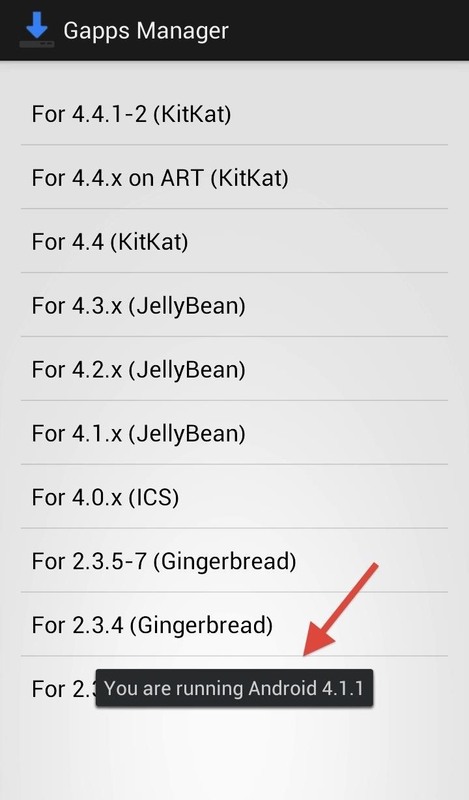 If you do not know what Android version you're using, the app can check for you. Just tap the menu button on your phone and then select Android Version from the pop-up menu. 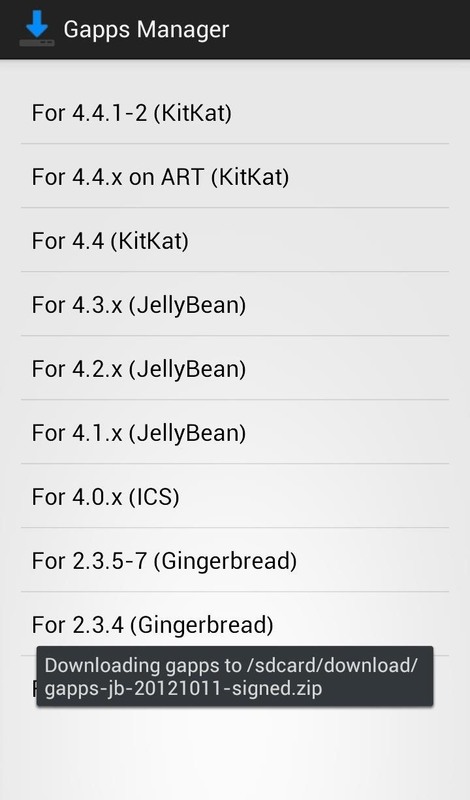 It will display your Android Version at the bottom of the screen. 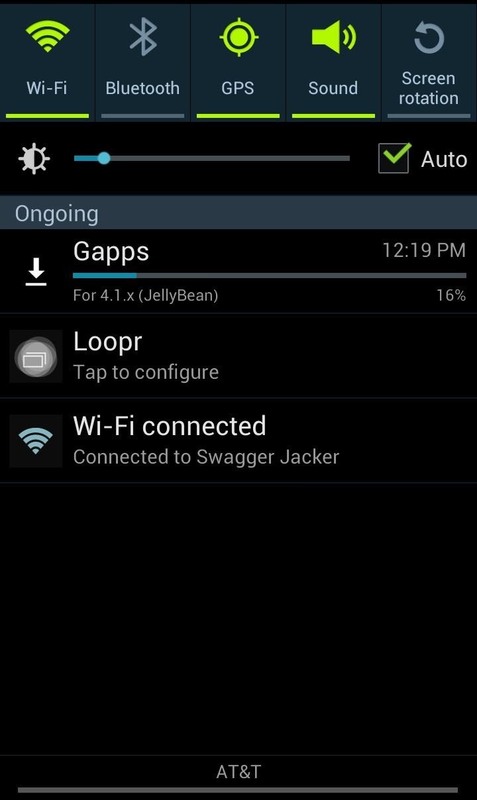 Once you've downloaded the correct GApps, you can apply the package via recovery. To enter Recovery Mode, shut down your device and then boot up while holding the volume up, home button and power button simultaneously. Once in Recovery Mode go to Mounts and Storage and choose mount /system and mount /data options. Now find the folder on your SD card containing the GApps zip file. You can scroll up and down using the volume keys. Press the Home Button to select the file and install. Once flashed, reboot your device and you'll be good to go. How To: Does Your Android Support Doze, Google's Best Battery-Saving Feature?